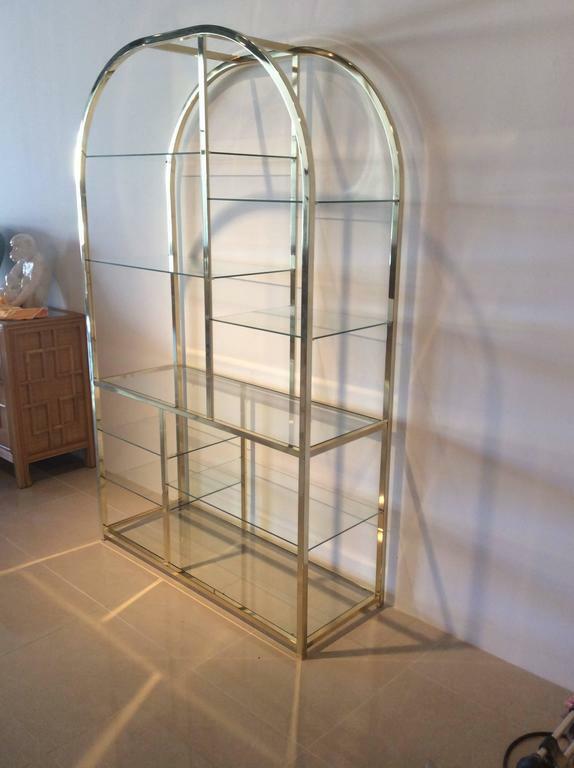 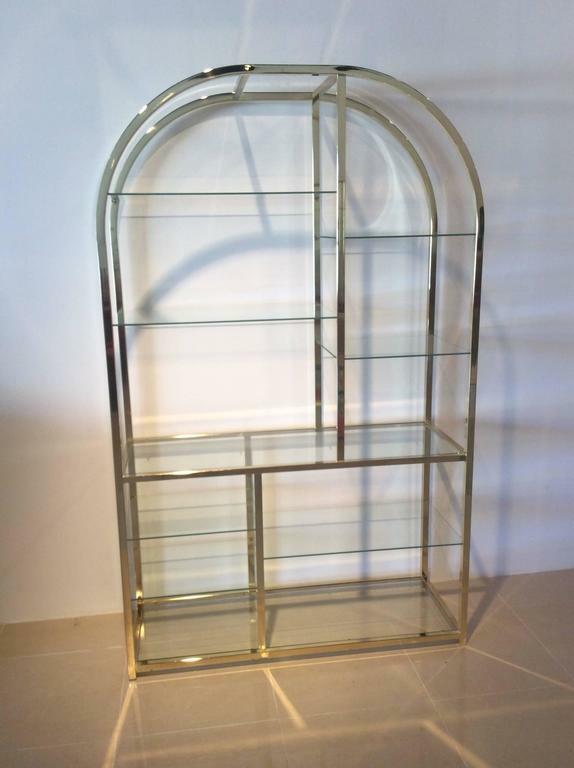 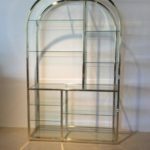 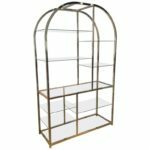 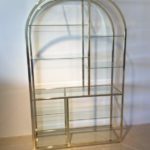 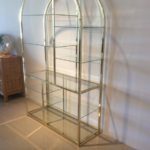 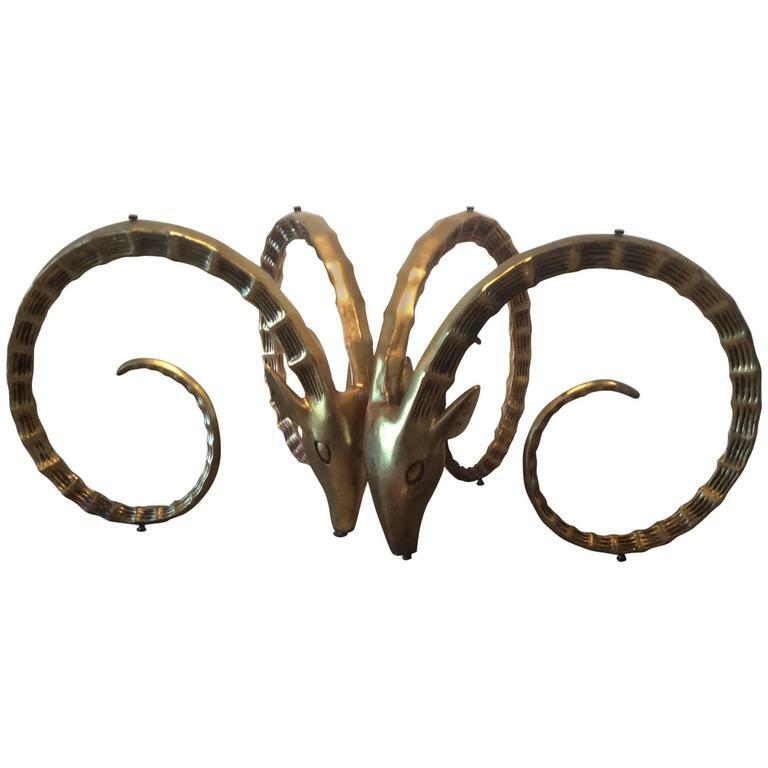 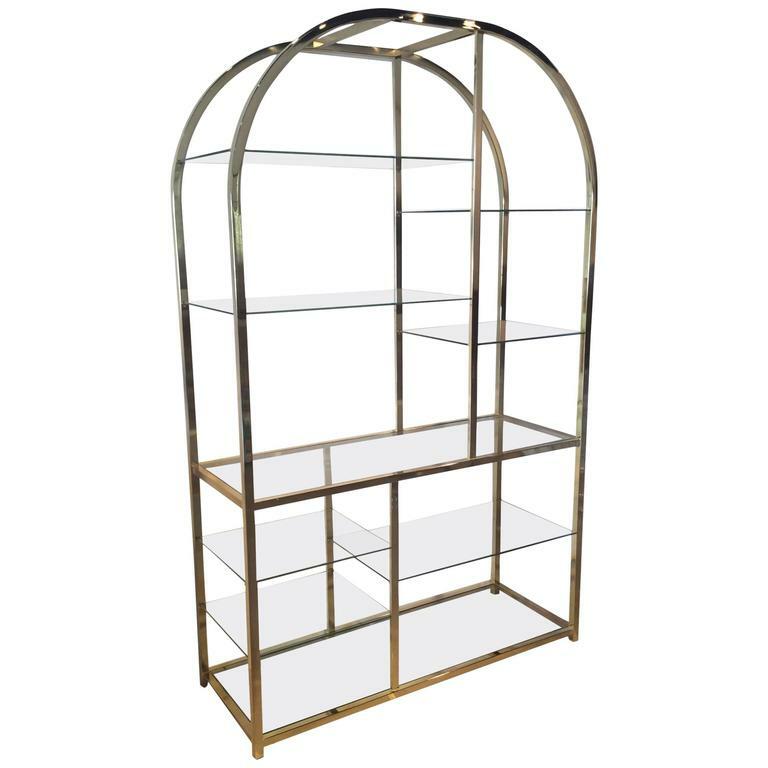 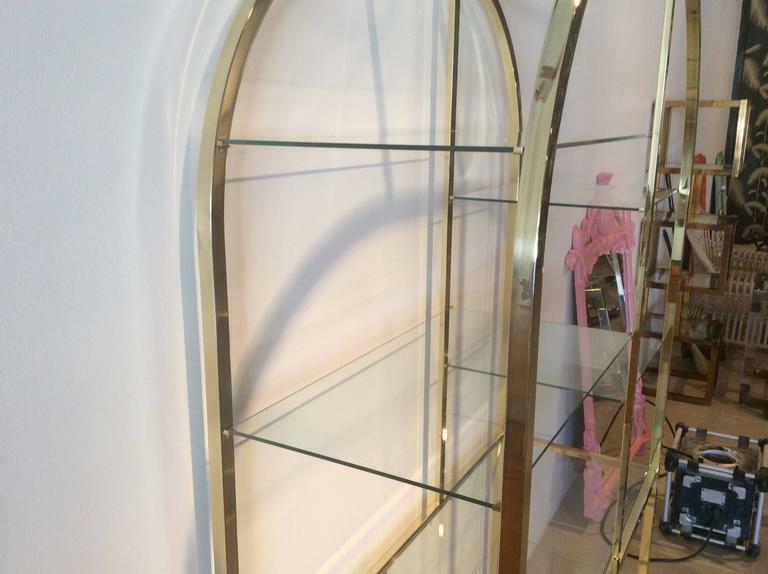 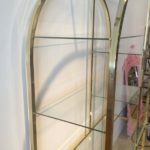 Vintage DIA Design Institute of America DIA Milo Baughman arched brass etagere display shelf. 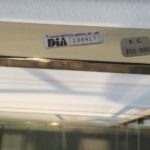 Tagged DIA and pictured. 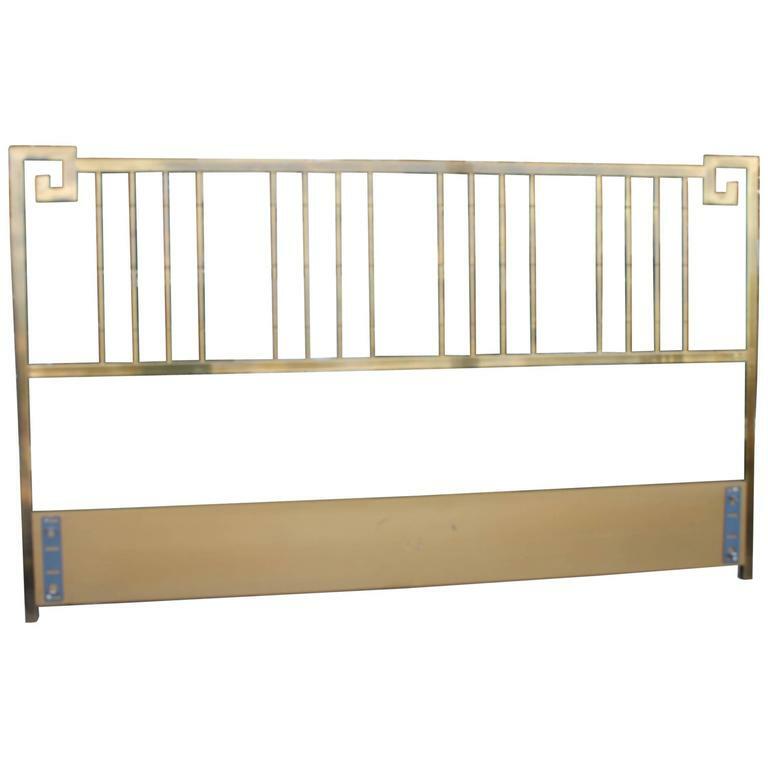 On one side there is a few patina spots that are pictured. 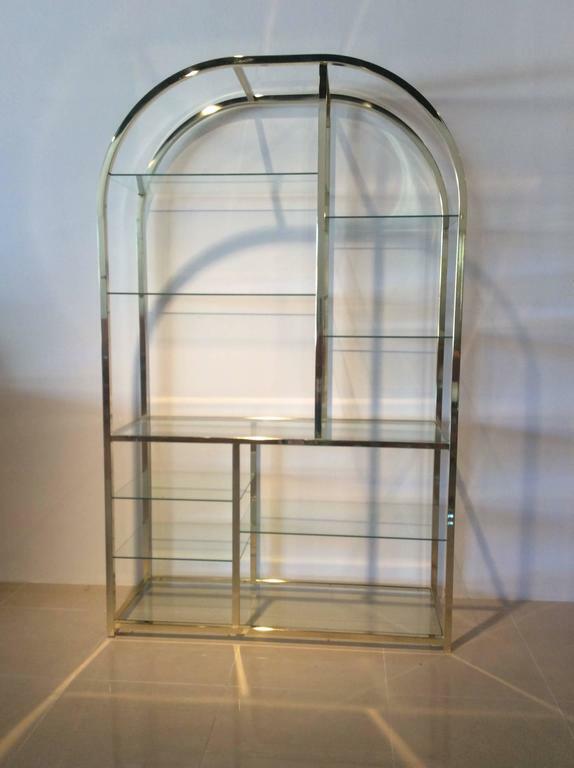 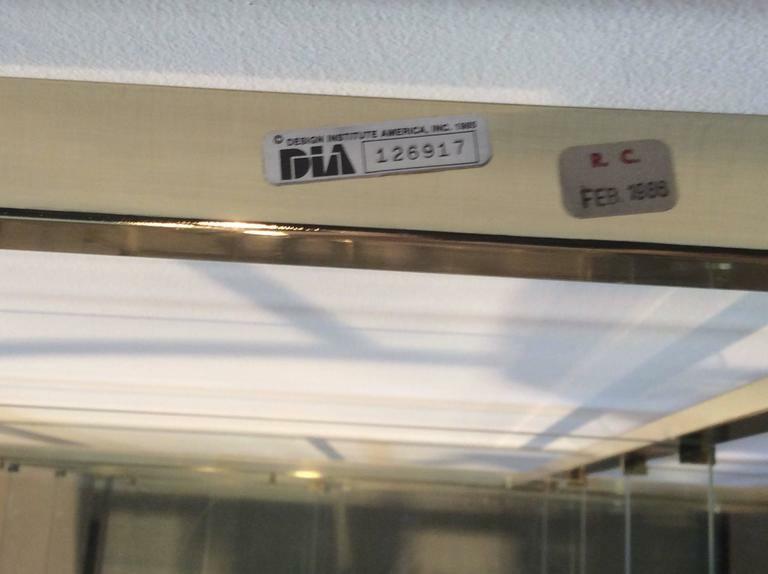 Includes nine glass shelves as pictured.